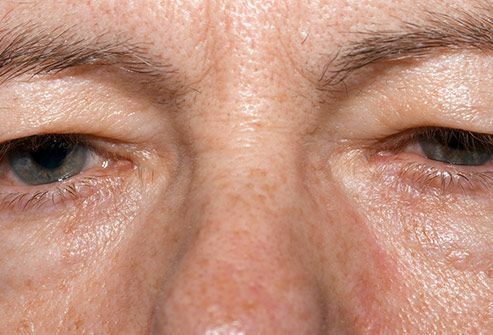 Graves' disease causes your thyroid gland to release too many hormones, which can lead to this problem as well as double vision and loss of vision. It also may cause diarrhea, weight loss, and hand tremors. 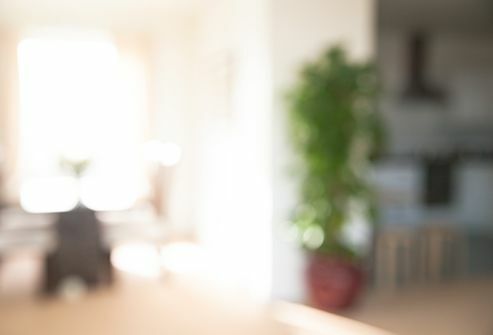 Medication or surgery can help control the amount of hormones your thyroid makes, but they won't cure the underlying disease -- and may not help your eyes. This can be a sign of diabetes, which causes too much sugar in your blood. If it isn't well managed, you may get diabetic retinopathy (when tiny blood vessels in your eyes leak blood and other fluids). 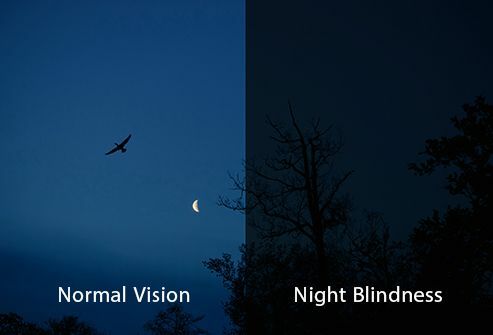 You may have blurred vision and find it hard to see at night. Doctors can use a laser to help seal the leaks and get rid of unwanted new blood vessels. 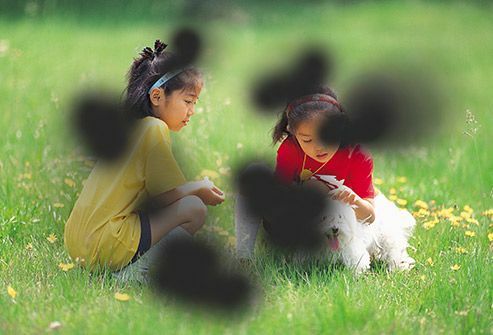 This may affect your side vision, but it can save your central vision. 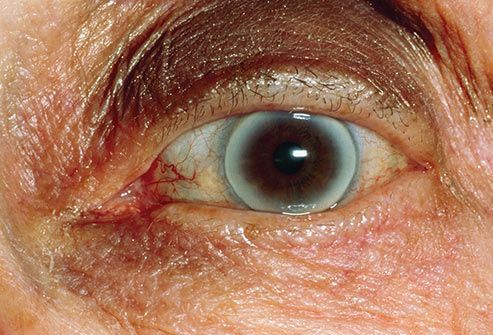 This condition, called corneal arcus, causes a gray-white line of fat deposits to grow on the outside edge of your cornea (a clear, curved surface at the front of your eye that helps it focus). Sometimes, the deposits make a complete ring. If you're older, it's probably not anything to worry about. But if you're under 40, it could be a sign of dangerously high cholesterol. 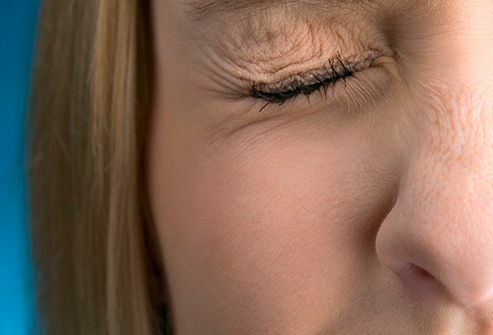 This can be a symptom of myasthenia gravis, which makes your immune system attack and weaken your muscles. It affects your eye, face, and throat muscles more than others and can make it difficult to chew, swallow, or even speak. Your doctor may filter your blood to help ease your symptoms, but that doesn't work for long. There's also medication for it. But in some cases, surgery is needed to remove the thymus gland. 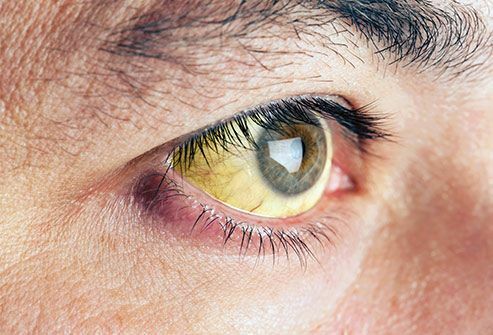 When your skin and eyes look yellow, that's called jaundice. It often means you have liver problems and is caused by high levels of bilirubin, something your liver makes more of when it's inflamed or damaged. Bad diet, cancer, infection, and chronic alcohol abuse can all damage your liver. Treatment ranges from lifestyle changes to medication to liver transplants. Small yellow spots (not total yellow) is caused from sun damage and can be removed with a minor procedure. These are extremely common and almost always harmless -- they usually go away on their own. They can be associated with alcohol, fatigue, caffeine, not enough sleep, stress, or smoking. In extremely rare cases, they can be a sign of a problem with your nervous system, like multiple sclerosis. But if the twitches are linked to MS or another problem with your nervous system, you would have other symptoms, too, like difficulty walking, talking, and going to the bathroom. 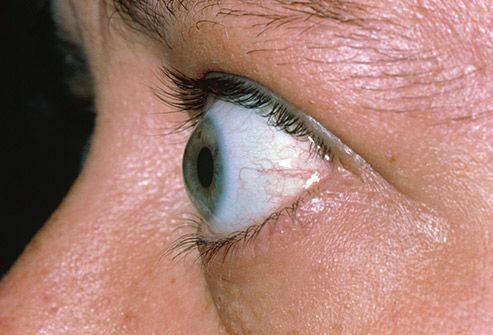 American Academy of Opthamology: "Corneal Arcus," "What is Vitamin A Deficiency?" American Optometric Association: "Diabetic Retinopathy." MayoClinic: "Graves' Disease," "Brain Aneurysm," "Myasthenia Gravis," "Liver Disease," "Eye Twitching." National Stroke Associaton: "What is stroke?"